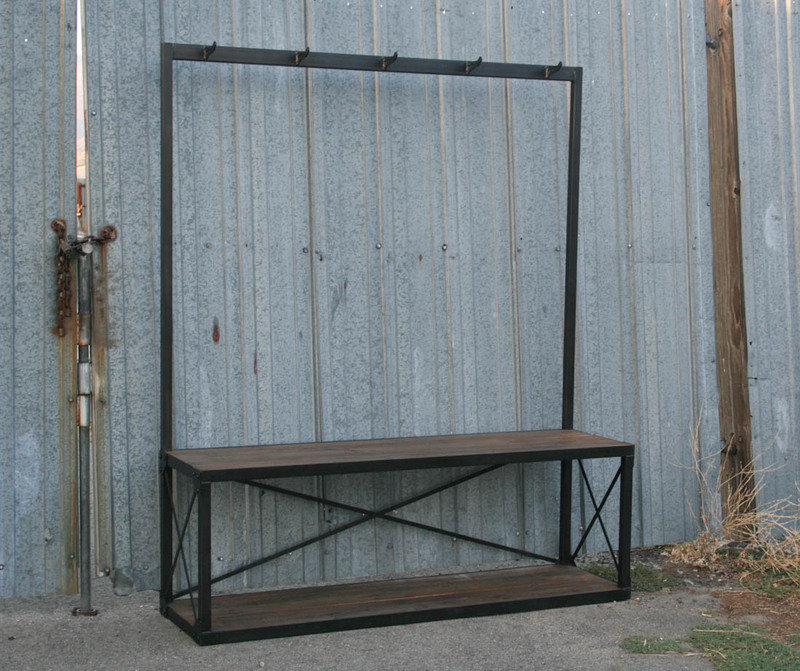 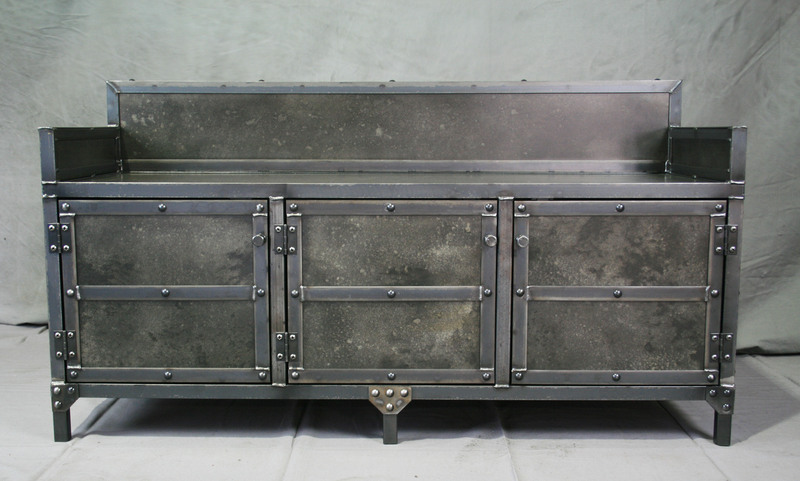 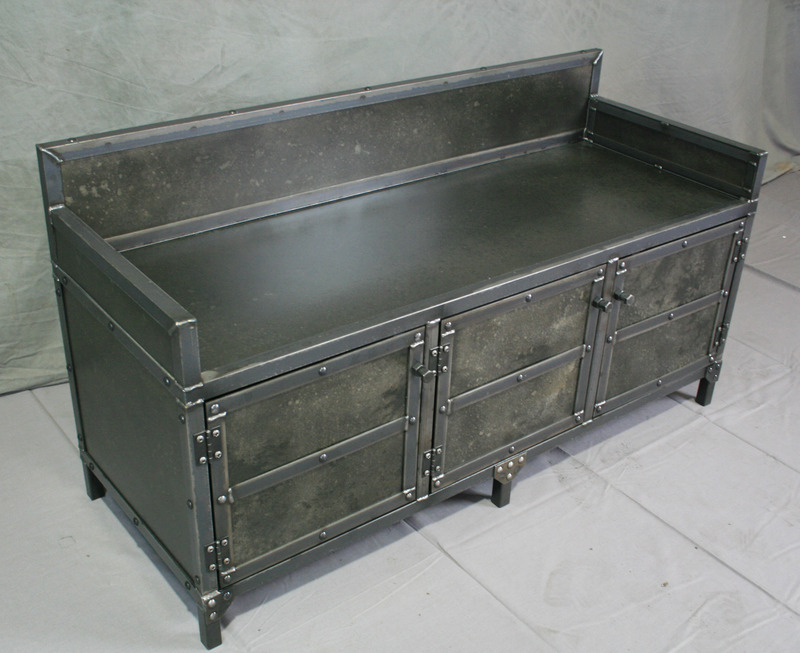 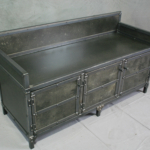 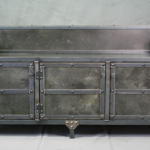 This vintage industrial style bench has plenty of storage for your mudroom or entryway. 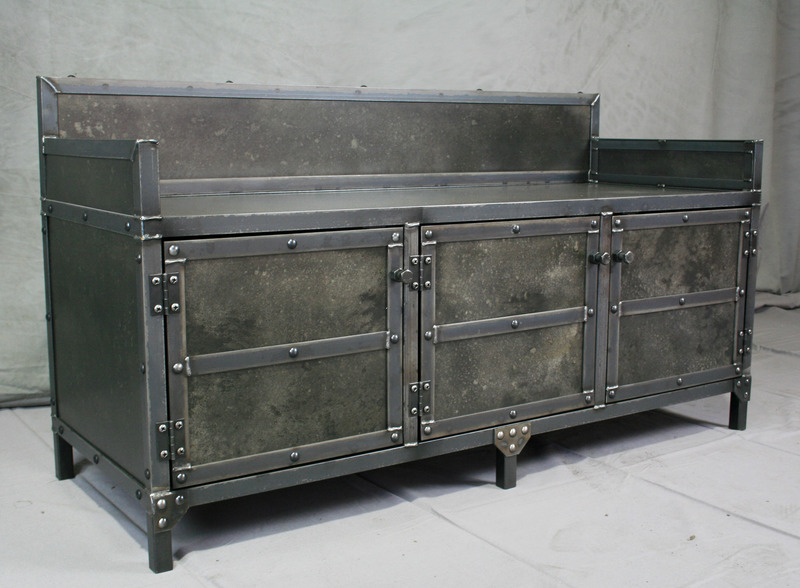 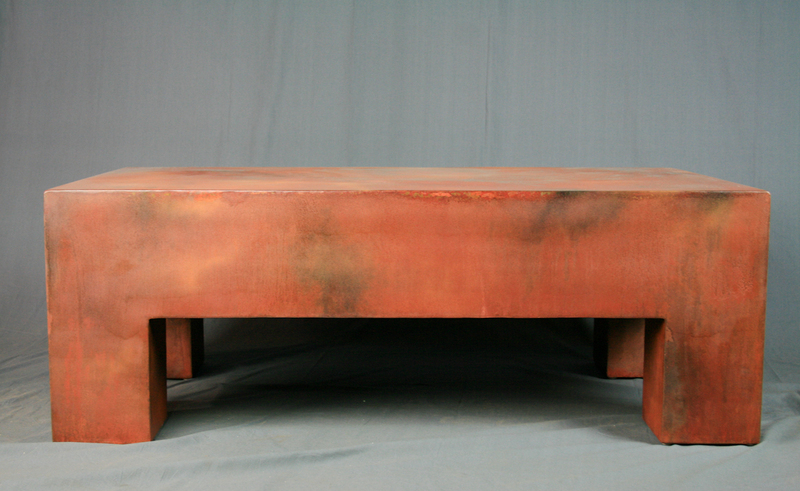 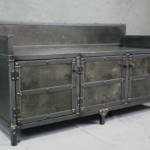 Handmade from solid steel, it can hold many hundreds of pounds. 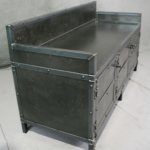 That makes it the perfect storage solution for any high traffic area, whether that be in your home or business. 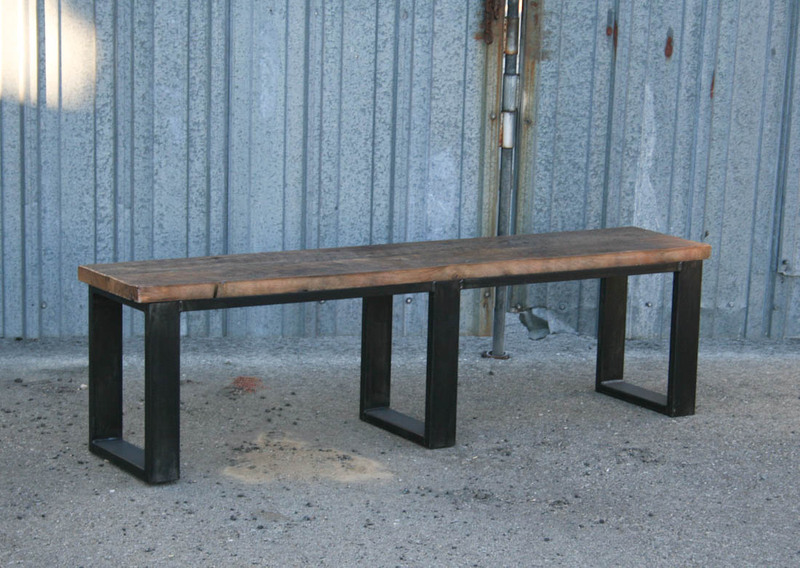 The bench doesn’t include an inner shelf, but one can be added for only $75.00. 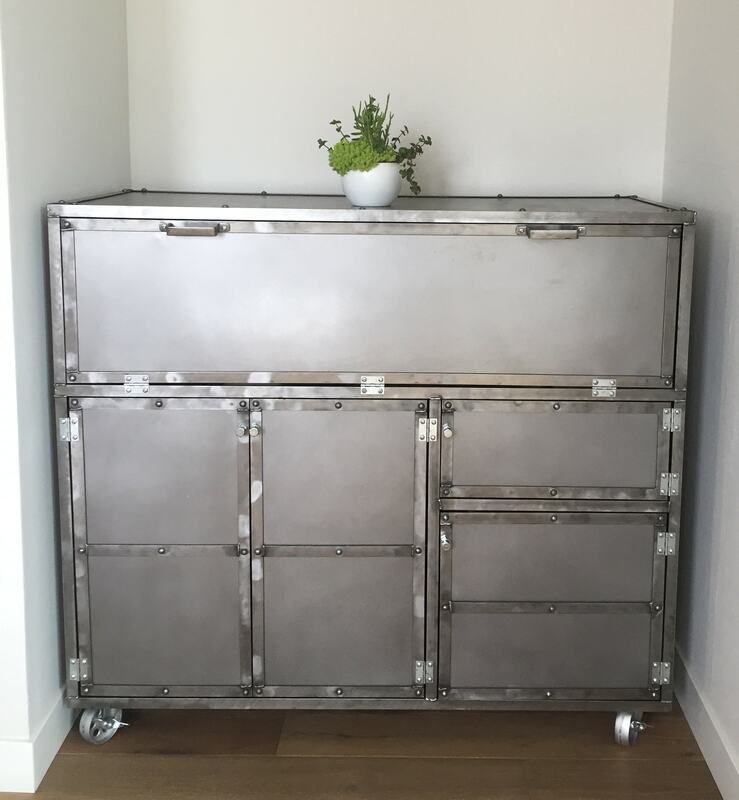 Without the shelf, it makes the perfect backpack and luggage storage, while adding the inner shelf makes it a great shoe rack. 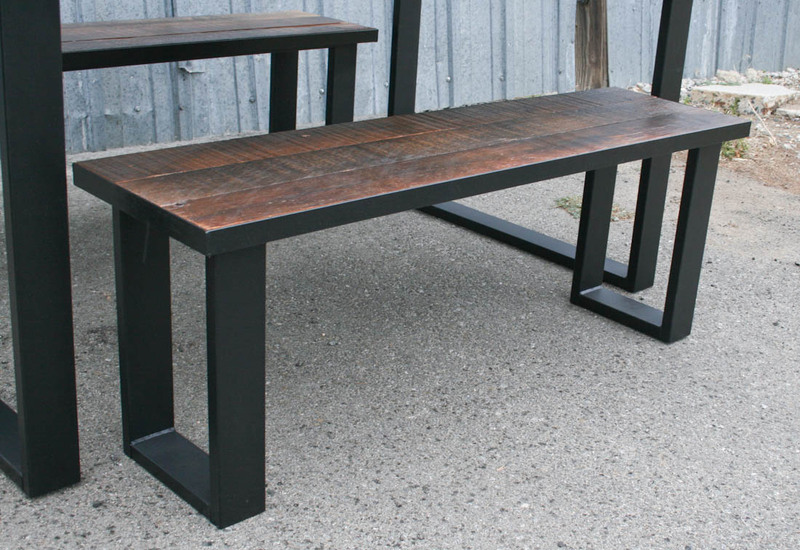 Although it doesn’t come with the cushion, there are many companies who make custom seating pads and we’d be happy to offer recommendations if you’d like. 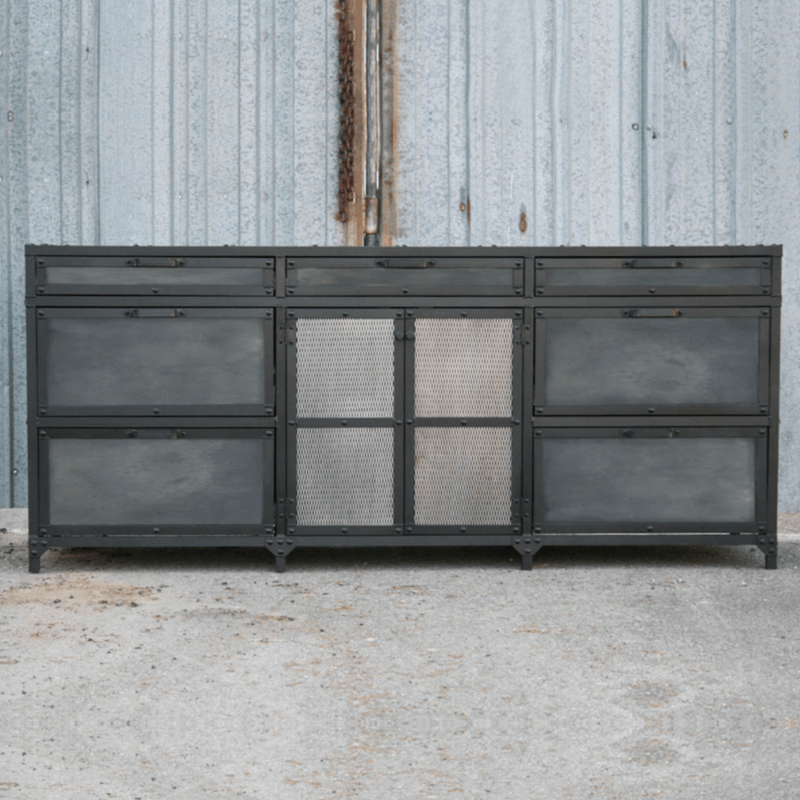 The mudroom bench is shown with a raw frame and one of our more distressed finishes, but if you’re looking more of a modern look, it can easily be made without rivets and one of our more uniform finishes or even a black frame as shown on some of our other items. 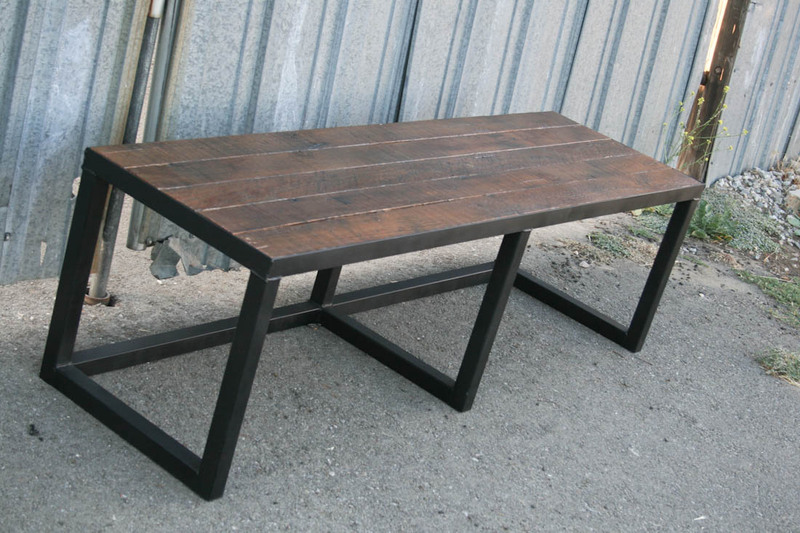 Reclaimed wood can also be added to the bench in place of some or all of the steel panels which would give this entryway seating more of a traditional or rustic feel. 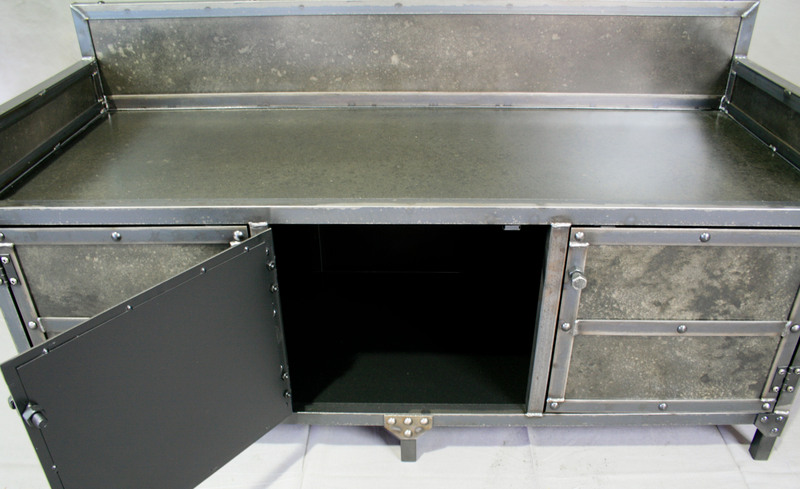 For small offices, file drawers can be added to maximize your available space and we can even add locks to keep your files secure. 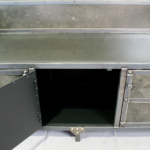 Whether you’d like to add file drawers, or make any other changes, contact us for pricing and we’d be happy to provide you with a quote. 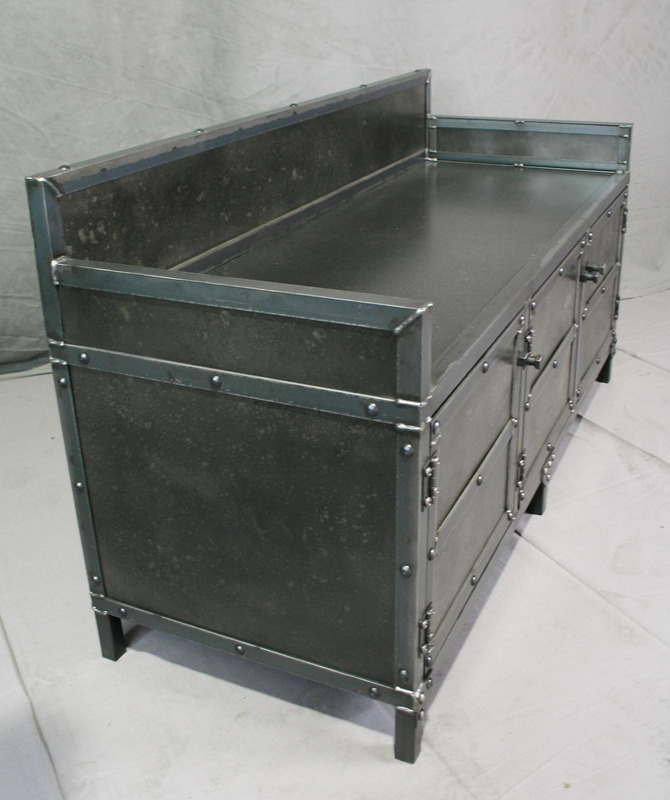 With so many options, this storage seating is far more than just your average chair.